The End For Indian Outsourcers - Or A Chance For Rebirth? China is well aware of the threat to its industry and is taking the lead in building zero-labor manufacturing plants, with robots doing practically all of the work. "Carnage in Indian IT," read the headlines in India about job losses in its outsourcing industry as markets stagnate and U.S. visa restrictions erode profits. The Indian information technology industry generates $150 billion in revenue but is facing an existential crisis largely of its own making because it became complacent and overconfident even as technologies and markets changed. It can survive only if it exits the business that brought it success and reinvents itself. 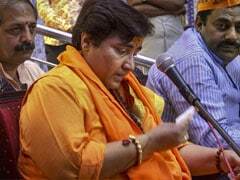 India's outsourcing boomed in the late 1990s run-up to the Y2K crisis because there was an urgency in updating corporate IT systems to fix a bug dealing with the difficulty some computers might have had with dates beyond Dec. 31, 1999. Once chief information officers became comfortable with having their systems maintained from across the globe, they started outsourcing large-scale projects to Indian companies, and billion-dollar contracts were announced almost every week. But with the advent of tablet computers, smartphones and their applications in the 2010s, users gained access to better technology than the companies' IT departments could provide. They could download cheap, elegant and powerful apps to their mobile devices that made their corporate systems look primitive. Via cloud computing, companies such as Amazon.com, Microsoft and Google began to take over the functions of data centers. (Amazon founder and chief executive Jeffrey P. Bezos owns The Washington Post.) So CIOs lost power, and the importance of outsourcers declined. The billion-dollar outsourcing contracts evaporated. Modern-day applications also do not require large teams of engineers doing software development: They are user-customizable and can be built by anyone with basic programming skills. To offer more value, the outsourcers worked to reduce costs by improving back-end processes. They offered low-cost offshore development and cheap labor in the United States, and this fomented a backlash by displaced workers. The same technology advances that decimated the Indian advantage offer a new opportunity that could allow the Indian IT sector to reinvent itself and even gain the support of Americans who have been rallying against it. The opportunity is to help United States modernize its aging infrastructure and enable it to bring manufacturing back from China. Technologies such as robotics, artificial intelligence and inexpensive and powerful sensors enable development of smart cities and automated factories, and a wholesale upgrading of national infrastructure. Robots, for example, have advanced so far that they can now do the work of humans in manufacturing. With the computing advances and dramatic price drops of hardware components such as a core part of most robots' inner workings, the single-axis controller, robots have acquired the dexterity to assemble circuit boards and build cars. They now cost less to operate than the wages of workers in China. And connected devices and sensors in the Industrial Internet of Things enable monitoring of every aspect of a manufacturing plant's operations. China is well aware of the threat to its industry and is taking the lead in building zero-labor manufacturing plants, with robots doing practically all of the work. But its robots have no advantage over American robots; all of them work equally hard and consume nothing more than energy. Manufacturing can now return to American shores without raising costs. There is, however, an obstacle. American businesses are not geared to take advantage of manufacturing robots because they simply do not have the know-how. This is where India's outsourcers could help. They could master the new technologies and help American firms design new factory floors and program and install robots. They could provide management consulting in optimizing supply chains and inventory management. And they could manage manufacturing-plant operations remotely. This is a higher-margin business than the old IT services. And Americans would cheer India for bringing manufacturing back to their shores rather than protest its taking their IT jobs away. No, there will not be as many jobs in each manufacturing plant as there were before. But many new high-paying jobs would be created to build factories and manage them. It is also possible to build smart cities, with sensors monitoring every aspect of a city's functioning, including parking, traffic congestion, lighting, waste management, pollution and water leaks. The installation and design of these require managerial and analytical skills; their monitoring functions are no different from those of managing data centers. And then there are opportunities to create applications that can revolutionize fields such as health care and education and to build technologies for the underprivileged - something that Silicon Valley's entrepreneurs do not focus on because they do not understand the dire needs. These are all things that Indian IT companies can do. It is not that Indian companies do not recognize the threat. Tech Mahindra's chief executive, C.P. Gurnani, told my class at Carnegie Mellon's College of Engineering in Silicon Valley on May 1 that he was working hard to change the focus of his company from services to technology products and to solve problems outside information technology. He talked about the rapidly changing markets and urgent need for his company to build offerings in areas such as health care, manufacturing, retail and managed services. Will India's IT sector finally wake up and smell the opportunity? It remains to be seen. One thing is certain: The backlash will build if it does not - and the Indian IT sector will accelerate its decline into oblivion. 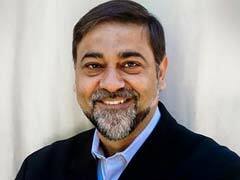 Wadhwa is a professor at Carnegie Mellon University Engineering at Silicon Valley and a director of research at the Center for Entrepreneurship and Research Commercialization at Duke University.